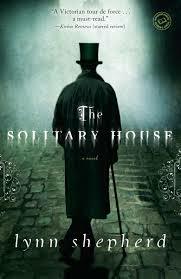 While all of the neo-Victorian novels I have written about so far in this series owe an enormous debt to writers who lived in the nineteenth century, Lynn Shepherd’s The Solitary House (published as Tom-All-Alone’s in the UK) is only the second to rework and borrow heavily from a famous Victorian text (the first was John Harding’s 2010 Florence and Giles which I blogged on here). Shepherd’s mystery is a story set in the world of Charles Dickens’s Bleak House (1852-3), fused in the final pages with Wilkie Collins’s The Woman in White (1859). She argues that she was able ‘to create a space between these two great novels, where [she] could locate a new and independent story of [her] own’. 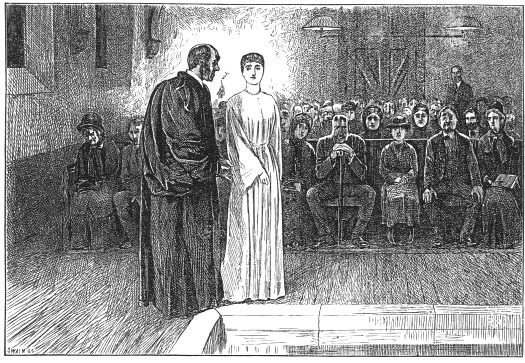 It’s an interesting premise, but the terms of Shepherd’s experiment are slightly unclear. In some cases she borrows wholesale, especially from Dickens, using Bleak House’s most famous characters, including the lawyer Tulkinghorn, Inspector Bucket and Lady Dedlock. But elsewhere the rules are bent and characters changed to fit the new (and much more gruesome!) story. Esther becomes Hester, Mr Jarndyce Mr Jarvis, Ada Clara and Richard Rick. As someone who knows Bleak House so well I found myself getting a little confused, unsure which plot points remained intact, and which information I was meant to be privy to as a reader, at each point. I’m almost inclined to agree with one Amazon reviewer who wrote that he/she ‘suspect[ed] someone who hasn't read Bleak House will enjoy it more than someone who has’. Where Shepherd doesn’t turn to Dickens for inspiration is in incorporating passages of light relief. This novel is oppressively dark, without the humour offered by the Jellybys and Turveydrops. She’s at her best in graveyard scenes, grim discoveries, and action sequences. Lovers of modern crime fiction will enjoy her decidedly unsanitary London and it’s hard not to be drawn in by the sensory descriptions of this dangerous and violent city. But whether you care about the protagonist – disgraced former policeman Charles Maddox – is another story. I don’t know if things would have been better had I read the first Charles Maddox mystery – Murder in Mansfield Park (2011), based on Jane Austen’s 1811-1813 novel – but I struggled to connect with the central character. Maddox isn’t a brilliant detective. He is repeatedly stuck and has to go to his great uncle for help, in his slightly more coherent moments (as the older man is suffering from dementia). He is quite colourless as a character, with backstory - for instance his young sister’s kidnap - taking the place of true personality development. I think perhaps the novel suffered from the scale of its ambition in this respect. At less than a third of the size of Bleak House, The Solitary House still has a huge array of characters, making it difficult to effect the same level of intimacy with the protagonist we expect from modern detective-driven fiction. In many of the neo-Victorian novels I’ve looked at – most recently Michel Faber’s The Crimson Petal and the White – there’s also been an interesting examination of the gender politics of nineteenth-century fiction, but, although The Solitary House is a story all about the abuse of women and children by aristocratic men, don’t expect this novel to pass the Bechdel test. If a female character is introduced, odds on she’ll be a) murdered, b) prostituted or c) abused (and probably all three), which is disappointing as much more interesting things could have been done here, even with a well-off white male protagonist. Most unsettling of all is the character Molly – Maddox’s servant girl who is black and remains mute throughout the book. Shepherd relies on her readers’ discomfort about Molly’s position and her master’s treatment of her, but doesn’t give a satisfying conclusion to this storyline. 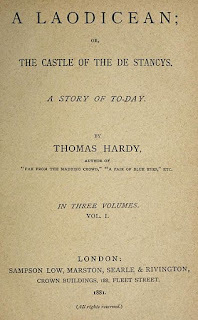 As with the treatment of Collins’s and Dickens’s texts, I was left feeling frustrated by this aspect of the novel and a feeling that, with more care and revision, the text could have been substantially better. If you’ve read The Solitary House/Tom-All-Alone’s, I’d love to know what you thought. And, if you have any suggestions on which neo-Victorian novel the Secret Victorianist should read next then let me know – here, on Facebook, on Google+, or by tweeting @SVictorianist! 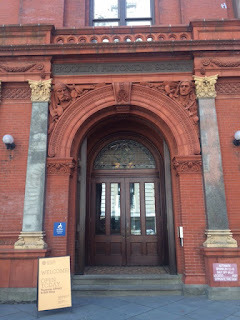 Two weekends ago, the Secret Victorianist visited the Brooklyn Historical Society to see two exhibitions relevant to anyone with an interest in nineteenth-century history. 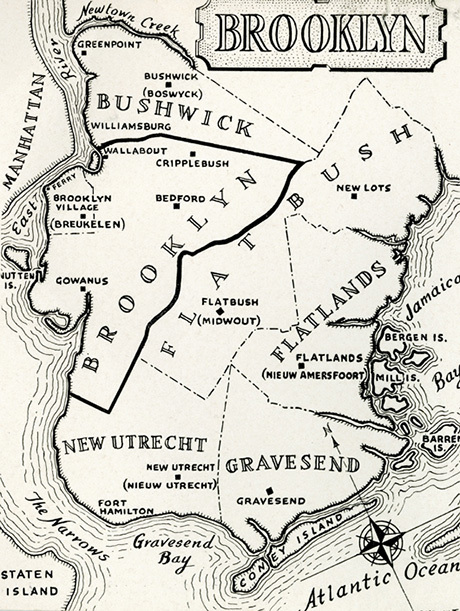 The first, In Pursuit of Freedom – Brooklyn Abolitionists (on show until Winter 2018), celebrates the lives of the unsung heroes of Brooklyn’s anti-slavery movement. 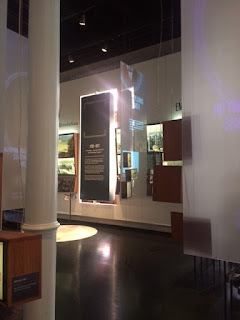 Laid out chronologically and covering the period from the end of the Revolutionary War to post-Civil War Reconstruction, the exhibition uses written testimonials, maps, paintings, photographs and census records to explore the lives of black and white Abolitionists who lived in Brooklyn - the centre of New York slavery due to its high levels of agricultural labour. What I particularly enjoyed about the exhibition was seeing the geographical changes in Brooklyn over the course of the nineteenth century and how the black communities that lived there had a large impact on the history of the area and country. It was also fascinating to learn more about slavery in the North and the continued tensions about the issue, even post-Abolition - especially since the most many of the most famous examinations of the American slave trade, from a non-American perspective, focus on the South. 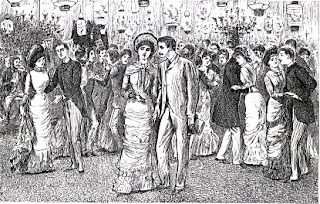 New York, for instance, was home to anti-Abolition riots, and spats of extreme violence between former slave and Irish immigrant communities, who were often competing for the same jobs. 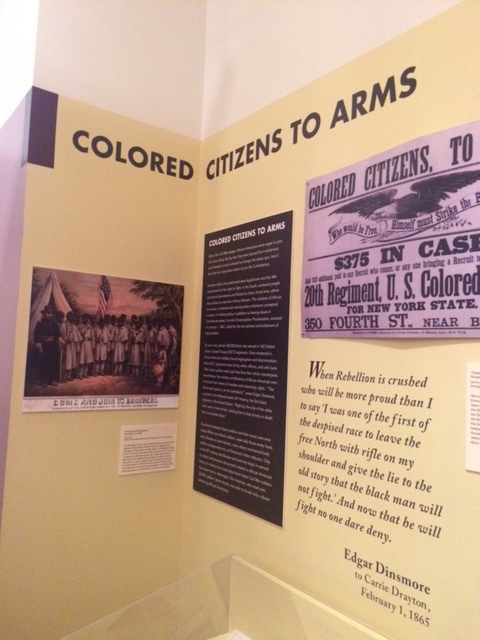 The exhibition also features a rare copy of the Emancipation Proclamation (1863). Meanwhile, the second exhibition - Personal Correspondents: Photography and Letter Writing in Civil War Brooklyn (on show until Spring 2016) – focuses on the 30,000 Brooklynites, from all backgrounds, who fought for the North in the Civil War, through the lens of their letters home. The well-curated and interactive exhibit gives you insights into life on the battlefield and the lives in Brooklyn these men had left behind, drawing you into personal stories of loss and the human impact of war. The Society’s beautiful building (constructed in 1878-1881) is a wonderful setting to learn more about the area’s history in, and there are also exhibits focusing on more modern features of life in the city – from a history of New York City’s Disability Rights Movement to a plotted history of the city’s sewerage systems. I would definitely recommend a visit. 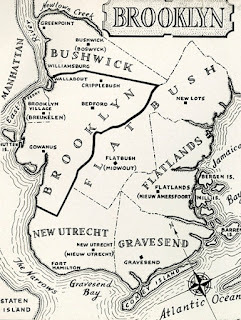 Where in New York would you like to see the Secret Victorianist visit next? Let me know – here, in Facebook, on Google+, or by tweeting @SVictorianist! 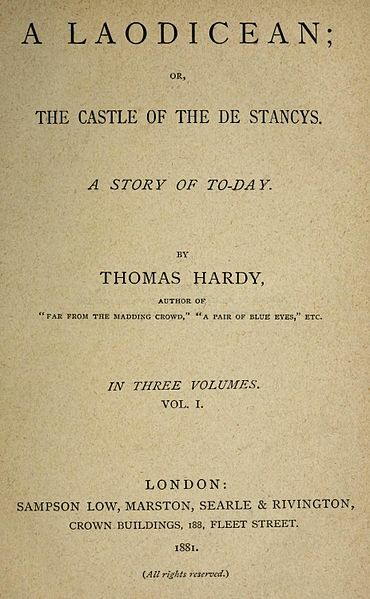 The subtitle of Thomas Hardy’s lesser-known 1881 novel, A Laodicean, is ‘A Story of To-day’. This nods to one of the main points of difference between this novel and much of Hardy’s canon – nostalgic, and so often a swansong for a dying rural way of life. A Laodicean is a novel whose plot relies on modern technology – on an exchange between lovers carried out via telegraph (and as fraught with misunderstandings as many text conversations today), on an altered photograph (possible even in the art’s early years, pre-Photoshop), and on the ability for its characters to race around Europe, almost colliding with each other in a series of missed connections. The heroine at its centre, however, Paula Power, is, like Hardy, not so sure whether her loyalties lie with the past or the future. The daughter of a self-made railway magnate, she nevertheless lives in the decayed splendour of Castle de Stancy, a mediaeval pile fallen into dilapidation, and finds herself increasingly attracted to the hereditary grandeur it represents. What is Paula? Low church or high, practical or romantic, a representative of a new ruling class or a new-moneyed misfit lacking the necessary refinement for her role as mistress here? These questions are at the heart of Hardy’s story, and are played out most obviously in Paula’s choice of husband. There is young George Somerset, an architect with youth and ambition to recommend him, but then again there is handsome army captain William de Stancy, older, morally questionable, and surrounded by the reflected glory of his family’s antiquated past. Paula too remains lukewarm throughout the novel, inspiring sexual passion, rather than feeling it, and coming down on the side of modernity apparently more through chance, and the delinquent past of the aristocracy, than through any strong feeling for the modern age (and Somerset). This makes the novel feel, at times, like a comedy or errors (complete with villains who are either weak, scarred, or illegitimate), with only hints of Hardy’s usual tragic touch. Charlotte de Stancy, William’s sister and Paula’s confidante, and the castle itself are the martyrs to the coming age, with the happy couple blind to the suffering of the former, and in disagreement over the fate of the latter. I won’t spoil the ending here, but suffice to say, it is the indecisive Paul who is given the final word. If you decide to read A Laodicean, you’re in for an uneven experience – expect irritating characters, an unsatisfying conclusion, and a tedious lovers’ correspondence which you could say, with some justification, finds a modern equivalent in the email drama of E.L. James’s Fifty Shades of Grey (2011). But you’ll find here too an unusual premise, a heroine who defies stereotypes, some breathtaking prose, a rich display Hardy’s architectural knowledge, and insights into the very modern world of the 1880s. Have you read A Laodicean? I’d love to know what you thought of the novel. 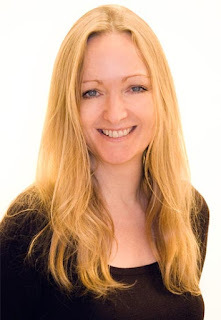 Let me know – here, on Facebook, on Google+ or by tweeting @SVictorianist! It’s Labor Day weekend here in the US, so I decided to honour the occasion by visiting the Tenement Museum in New York – a museum dedicated to preserving the stories of the immigrant workers who made the city what it is today. 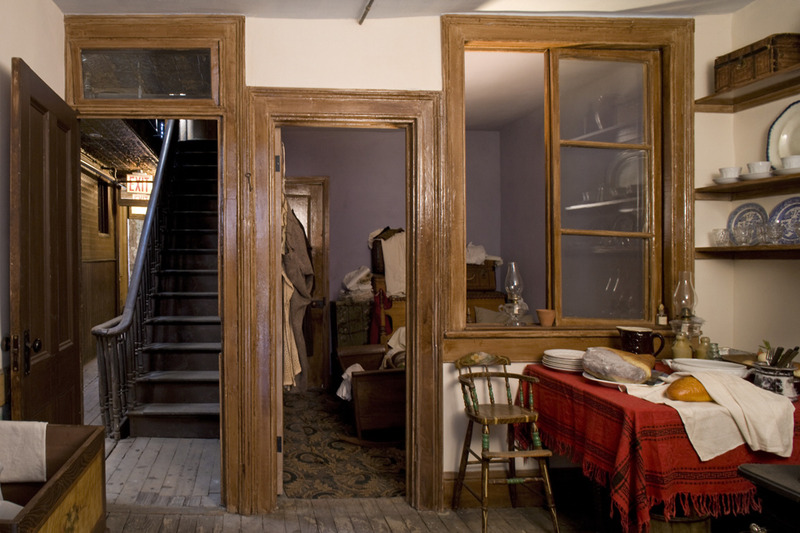 Founded in 1988, by Ruth Abram and Anita Jacobson, the museum tells the stories of the 7,000 or so people who lived at 97 Orchard Street in Manhattan’s Lower East Side, in the setting of the small apartments which were their homes between the 1860s and the 1930s. You can only visit the museum on one of the guided tours. These are themed, and deal with different aspects of the building and area’s history. The tour I joined (naturally, as an Irishwoman and a Victorianist) was focused on an Irish immigrant family who lived in the tenement in the 1860s – the Moores. 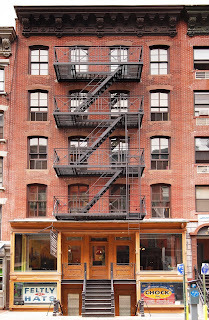 Entitled ‘Irish Outsiders’, the tour told the sad story of the short period the Moores lived at 97 Orchard Street – their difference from their largely German neighbours, the discrimination they, and their countrymen and women, would have faced when seeking employment, and the death of their baby, Agnes, from malnutrition. The living conditions were cramped. They were a family of five, living in three rooms, with no plumbing – a set up that helps you put into perspective the complaints of many New Yorkers about the size of their apartments today. Interior windows help some light penetrate the inner rooms (although they still feel dark and claustrophobic), yet these were installed not for aesthetic reasons, but to combat tuberculosis – a very real threat in this period. The mother Bridget’s life is a particularly bleak one to think about. She had eight children prior to her death aged 36, four of whom survived. Her days would have been a constant fight against coal dust and a never-ending relay of bringing pail upon pail of water up four flights of stairs, filled with the pain of suffering her own ill health, and seeing her baby dying. Yet the story isn’t without hope. 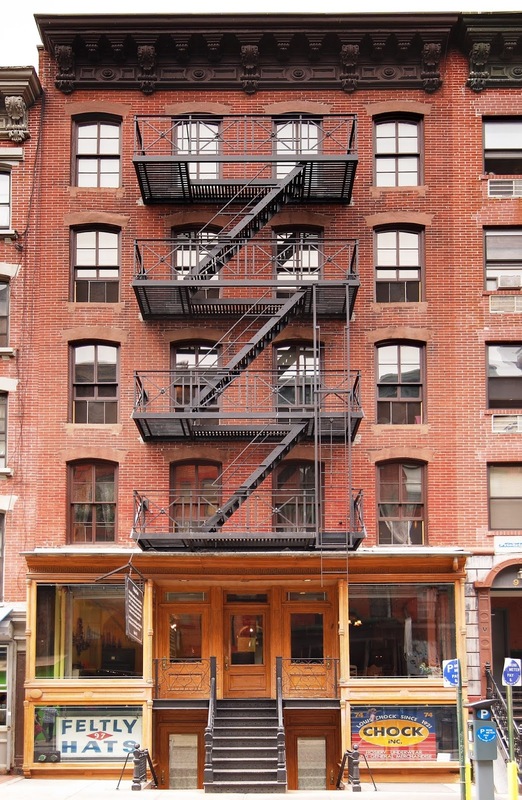 For a start, 97 Orchard Street seems to have been far from the worst of these tenement buildings. The privies in the backyard flushed, redecoration was relatively frequent (as the museum found when the historians investigated the layers of wallpaper), and the landlord lived in the building and made renovations beyond those required by him legally. What’s more, the Moores may not have been removed from their neighbours, despite their differences in origin and religion. The guide played us some recordings of Irish ditties dating from the period, including ‘McNally’s Row of Flats’ – a raucous song about the sense of community that could come from different peoples being thrown into close quarters with each other. The story the tour tells is ultimately one of upward mobility. One moment we are asked to take a leap of imagination, piecing together what it might have been like to be an illiterate Irish immigrant in the mid-nineteenth century from the building, a baptismal certificate, and some census records. In the next, we are actually holding a photograph of one of the Moore children, taken in the 1930s, by which time she and her husband are well off enough to have their own backyard (in Queens). As Europeans, we can find it amusing – ridiculous even – when Americans identify strongly with the heritage of a country they’ve never seen. It’s something of a running joke how absolutely some Americans can assert their Irishness. Yet, visiting the Tenement Museum, made the connection between New York today and the Ireland these men and women left behind feel much closer. And remembering the conditions your ancestors lived in when seeking out a new life must be very special. Some aspects of life in 97 Orchard Street have all but faded from our modern world – but immigration is a real and living issue. Maybe investigating the histories of these families in the Tenement Museum won’t get us any closer to determining how the stories of today’s immigrants might end, but I firmly believe that learning about the lives of those who worked to make this city what it is can help us grow in tolerance, understanding and compassion. 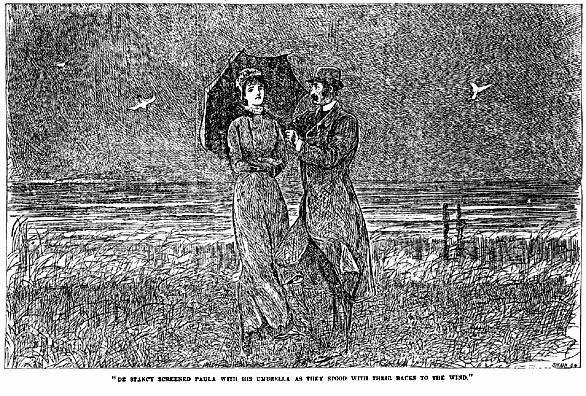 Where else in New York City would you like to see the Secret Victorianist visit? Let me know – here, on Facebook, on Google+, or by tweeting @SVictorianist.